Bollywood star Varun Dhawan is known for his fashionable looks at the airport. The Badrinath Ki Dulhania actor was snapped as he made an impressive appearance at the Mumbai airport on October 31, 2018. 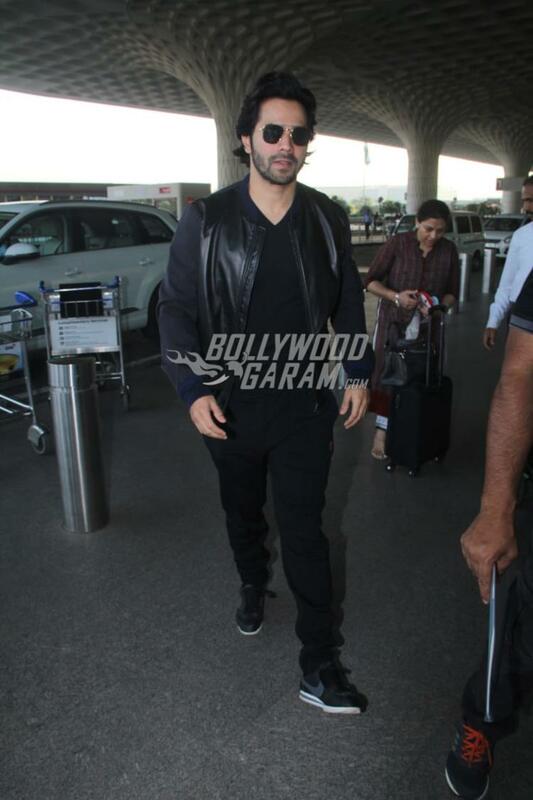 Varun looked dapper in an all black outfit with a stylish pair of sun glasses. The actor not just posed for the shutterbugs present at the airport but also took time to pose for a few selfies with fans. Varun was last seen on the film Sui Dhaaga-Made In India in which he played the role of Mauji , a tailor. The film also starred Anushka Sharma, who played the role of Mauji’s wife Mamta, who is an embroiderer. Varun is currently preparing for the upcoming film Kalank which is a period drama by Abhishek Verman and also stars Madhuri Dixit, Alia Bhatt, Sonakshi Sinha, Kunal Khemu, Aditya Roy Kapur and Sanjay Dutt. The film will be produced by Karan Johar and Sajid Nadiadwala and is expected to be released in theatres on April 19, 2019.